SOPA! How it could destroy public intellectualism, and the furtherance of an educated, creative, developing society. This is a list of sites taking action against SOPA on the 18th of January. This post will be an updating one, currently I am just trying to collate information, links, and materials, as well as sources relating to the primary actors in this game… the politicians advancing such a dangerous, ignorant, reactionary and anti-modern, anti-liberty, anti-freedom based laws. Currently, no ideas in this post are my own (for some digging I did on copyright a while back, check here), I will work to compose my own thoughts, but I thought that was completely secondary to linking OTHERS to the information to create a cogent case against such techno-phobic, corporately sponsored ignorance in our nations lawmakers. I will note now only that SOPA is emphatically not “simply” a law to “stop piracy”… as written, it will break the internet. I know many will already be aware of the issues presented, but consider that this is not simply a matter of “them foolish kids downloading the new hot Britanny Spears Track”… this law will DETRIMENTALLY impact the free flow of information between scholars, public intellectuals, and people who are hungry for rational, logical debate and information transmission. If we wanted twitter to be censored, and to have our information fed through a blender that filters out anything negative about our government… we might simply go to China. It is pathetically ignorant to, on one hand spew spittle flecked invective at “human rights abusing” China, and to sneer about how “Chinese citizens are not free, and do not have free thought or expression”… well, our distinguished “leaders” have decided that, hypocritically, that is what their vision of America entails. The question to ask is; IS THIS WAR ON FREEDOM AND LIBERTY WHAT I WANT FOR MY CHILDREN? 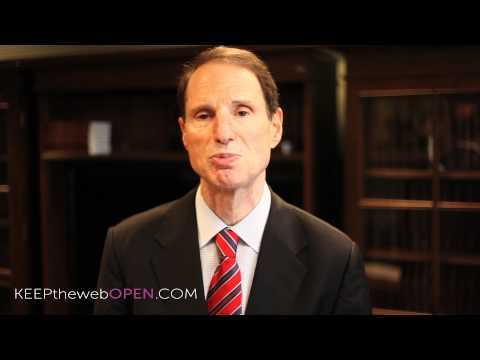 Do you administer a website? Then put a banner on your site protesting censorship or link to EFF’s action center. Coordinate a teach-in or debate at your local college or community center. Invite local experts in copyright and free speech to come discuss the issue. If you’re in high school, talk to your civics and media studies teachers about a class discussion on the implications of this bill. Point them to our free Teaching Copyrightmaterials. If you’re in college, speak out through like-minded organizations working for digital freedom, such as Students for Free Culture or Electronic Frontier on Campus. If there isn’t a chapter at your school, start one. Then use that platform to coordinate with other students to speak out against this bill. If you’re in college, set up a meeting with your college newspaper editorial board and explain the bill to them and why they should speak out about it. Work with them to write articles on the topics. Check out these examples from the University of Buffalo, University of Massachusetts, and University of Minnesota. See more examples at the Center for Democracy and Technology’s Chorus of Opposition page. Write a letter to the editor of your local paper. Remember, these are often really short. Find out the requirements for your local paper and follow them carefully. Become a member of EFF. We’re leading the fight to defend civil liberties online, so that future generations will enjoy an Internet free of censorship. By standing together, we can make it happen. The Senate’s PROTECT IP Act and the House’s Stop Online Piracy Act (SOPA) are so noxious that even the Business Software Alliance has serious reservations, and SOPA’s main backer had to take to the virtualpages of National Review today to quell a growing revolt among his conservative colleagues about “regulating the Internet.” Whatever you think of the legislation, it unquestionably represents a sea change in the US approach to the Internet, one which explicitly contemplates widespread website blocking and search engine de-listing. The level of debate on an issue this important has been… suboptimal. (And hearings have been rather lopsided affairs). Just listen to the rhetoric of SOPA author Lamar Smith: “Enforcing the law against criminals is not censorship.” Pithy, sure, but it doesn’t relate to any actual objections put forth by thoughtful critics. But rightsholders do need some means of enforcing copyrights and trademarks, something tough to do when a site sets up overseas and willfully targets American consumers with fake goods and unauthorized content. Some sites can be leaned on when hosted in friendly countries, but many simply thumb their nose at US law with impunity. If you can’t go after the sites at the source, and you can’t lure their operators to the US (both tactics used with success in other cases), what’s left but blocking site access from within the US? 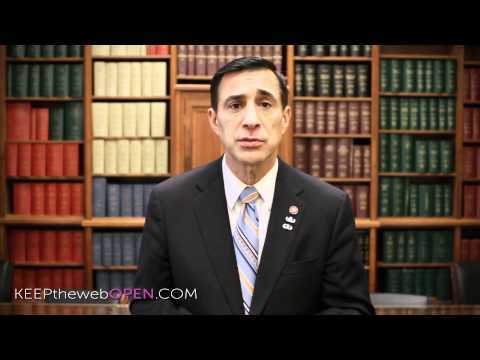 The OPEN Act secures two fundamental principles. First, Americans have a right to benefit from what they’ve created. And second, Americans have a right to an open internet. Our duty is to protect these rights. That’s why congressional Republicans and Democrats came together to write the OPEN Act. One of the many serious problems with the Stop Online Piracy Act (“SOPA”) (pdf) is how it tacks itself onto existing law to expand liability to people who may be three times removed from any actual copyright infringement. In § 103, SOPA wraps another layer of liability around what are called the “anticircumvention provisions” of the Copyright Act (which are found in section 1201 of the Copyright Act). The goal of the anticircumvention provisions is preventing people from circumventing technology that protects copyrighted works. Importantly, however, some courts have held that § 1201 prohibits circumvention even when the person’s ultimate use of the work does not infringe copyright. So if you circumvent technology to access a work in a way that’s completely legal, you might still be violating § 1201. If SOPA is passed, even more individuals and entities will get caught up in an ever-expanding net of liability, which is especially ridiculous when we’re talking about a provision of the law that may not even require actual copyright infringement. Earlier this week, the Library Copyright Alliance (LCA)—made up of the American Library Association, the Association of Research Libraries (ARL), and the Association of College & Research Libraries—released an open letter [PDF] to Sen. Ron Wyden (D-OR), Rep. Darrell Issa (R-CA), and Rep. Jason Chaffetz (R-UT), “welcoming [the] release” of a discussion draft bill the legislators have sponsored. Called the Online Protection and Enforcement of Digital Trade (OPEN) Act, the bill has been touted as a potential alternative to SOPA. Brandon Butler, Director of Public Policy Initiatives, at ARL talks SOPA with CNN’s Brian Todd. 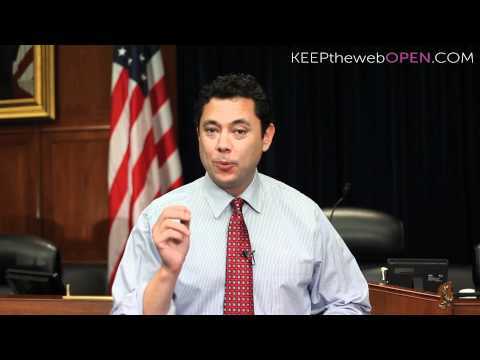 UPDATE: Protect IP Act, SOPA, Internet Censorship, Government Control.